Imagine you’re the daughter of Vietnamese refugee immigrants, living under the poverty line and growing up in the Worcester projects. You’re poor, you’re a minority, you’re facing countless challenges. Are your chances of achieving your full potential slim to none? 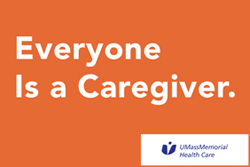 Not with a little help from caregivers who participate in our Summer Strong and Beyond campaign with United Way of Central Massachusetts. AiVi Nguyen doesn’t have to imagine this scenario – she was that girl. Despite the barriers she faced, today AiVi is a happy, healthy, highly successful professional and dedicated community leader. A business litigation attorney, she was the youngest person to be made a partner at Bowditch & Dewey, was awarded the 2017 Worcester Business Journal’s Outstanding Women in Business Award and was the recipient of the 2016 YMCA of Central Massachusetts Katharine F. Erskine Award. Committed to giving back to the community that gave so much to her, she serves on a variety of community boards and is the current board chair for United Way of Central Massachusetts. Learn more about AiVi. Along with her drive to succeed, her vigilant parents, and the many mentors she met along the way, AiVi attributes her ability to overcome the barriers she faced to participation in free after-school programs, literacy initiatives, summer camps and meal assistance programs – all supported by your participation in our United Way campaign. Contributing to the campaign is your opportunity to give children in our communities the resources they need to achieve their full potential. Through past campaigns, you’ve sent thousands of kids to summer camps, donated school supplies, and helped young women gain financial independence through the Women’s Initiative Dollar $cholars program. You’ve also supported Worcester Public Schools’ Coats for Kids Program and provided food insecure households in Worcester County with much-needed groceries. I am thrilled to announce that our special Summer Strong and Beyond match fund is being renamed the Shubi Kaur Fund to Support Summer Strong in memory of former Chief of Anesthesia Shubi Kaur, MD, to honor her incredible legacy in our organization, her dedication to causes greater than herself, and the grace and humility she exhibited in every interaction. Every new or increased pledge to our United Way campaign will go to the Shubi Kaur Fund and will be matched dollar for dollar (up to $50,000) to support programs dedicated to helping children. We hope you will do all you can to help honor Shubi’s tremendous legacy with a new or increased pledge of your own! You’ve made a difference in the lives of so many, yet the need continues to grow. Just like AiVi did, the children and families we serve depend on us to lend a helping hand as they struggle to live healthy, productive lives. That’s why I encourage you to support the campaign that kicks off on April 1. When you take the opportunity to text your pledge to 774-224-GIVE (4483), pledge electronically, email your pledge or fill out a paper pledge form, you’re doing more than making a donation – you’re giving kids a chance to lead and excel like AiVi has, and positively shaping the character of our community.